The Shell cracker plant under construction near Beaver, PA. This huge industrial facility is one of several such plants that would be part of the proposed Appalachian Storage Hub/petrochemical complex. This 4/2/2019 photo is courtesy of Ted Auch PhD, Great Lakes Program Coordinator, FracTracker Alliance, fractracker.org/photos. April 9 in Morgantown: People Over Petro! Outside the conference, though, the people will be speaking up! Join us if you can. RSVP for this event here. Join the event on Facebook here. Please do invite your friends! Press conference: 12 – 12:30 p.m.
Where: At the Tree of Diversity mosaic behind the WVU Visitors Resource Center by Caperton Trail, beside the Marriott at Waterfront Place/Event Center, 2 Waterfront Place, Morgantown WV. Protest: 12:30 – 3:00 p.m.
Where: Participants will move from the site of the press conference to the public sidewalk along Don Knotts Blvd., in front of the Marriott. Who: Join residents and allies from WV, PA, and OH who stand in opposition to the proposed petrochemical build-out. Speakers at the press conference include residents who live near proposed infrastructure for the petrochemical complex. 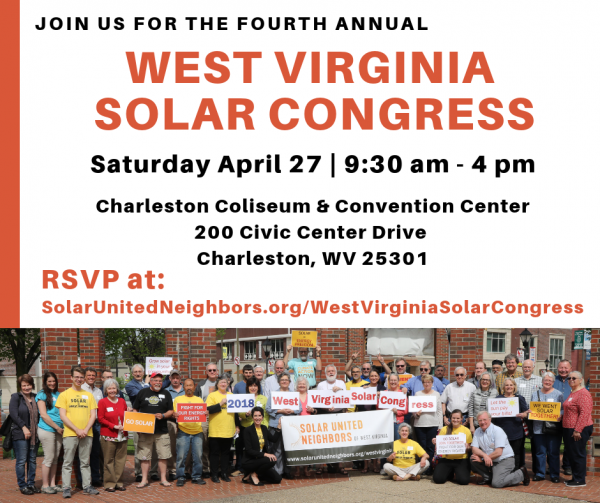 Organizers of this event include OVEC-the Ohio Valley Environmental Coalition, Concerned Ohio River Residents, Indigenous Environmental Network, Sierra Club WV, Sierra Club OH, Center for Coalfield Justice, Breathe Project, Mountain Watershed Association, and Climate Reality Project: Pittsburgh. Why: Industry and political supporters are pushing an agenda to build a massive petrochemical complex in the central Appalachian region to manufacture new plastic. Proponents boast of the “economic potential,” while disregarding the potential human health and safety impacts the pollution from these petrochemical facilities will have on our region. *ASH would be a massive petrochemical corridor build-out that would span approximately 400 miles along the Ohio River Valley, with a spur up the Kanawha River towards Charleston. It could include infrastructure—such as underground storage of fracked-gas byproducts, six large-diameter pipelines, a network of smaller pipelines, fractionator plants and huge “cracker” plants—in up to 50 counties on both sides of the Ohio River in West Virginia, Ohio, Pennsylvania and Kentucky. The cracker plants would produce plastic, just as communities around the world are working to reduce plastic waste and curb plastic pollution. Finance deals with China, and government loans and and tax breaks are in the works to help promote this crazy costly boondoggle. The raw material to feed the petrochemical complex would come from increased regional fracking, which is already taking a huge toll on people living nearby. The project would be a nightmare in terms of the human health impacts, water pollution and increased greenhouse gas emissions. To learn more and/or join in OVEC’s efforts to stop ASH, call us at 304-522-0246 or e-mail info@ohvec.org. 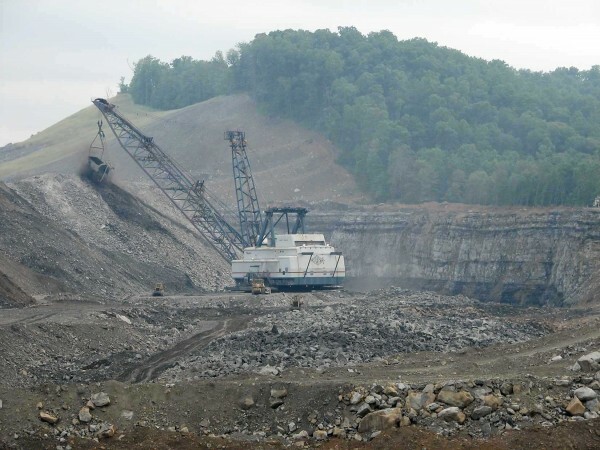 Also happening tomorrow, April 9: Lenore, WV resident and OVEC member Donna Branham will be among those testifying to the U.S. House Natural Resources Committee (HNR) in a hearing on the ecological and health impacts of strip-mining in Central Appalachia. The hearing begins at 2 p.m. Also speaking will be Kentuckians For The Commonwealth member Carl Shoupe from Benham, KY, and Dr. Michael McCawley from the School of Public Health at WVU. HNR is now led by Representative Raúl Manuel Grijalva. As a member group of The Alliance for Appalachia, we worked with HNR when Representative Grijalva visited some MTR sites in Virginia (see page 9 of OVEC’s Fall 2017 Winds of Change newsletter), and we’re encouraged that the committee is taking this step. If you’d like some sample social media posts, please e-mail info@ohvec.org with “MTR hashtags” in the subject line. Speaking of ASH, the billboards (they look like the graphic above) you helped fund are now up in and around the Huntington area. Thank you! If you weren’t able to donate to this effort on #GivingTuesday, don’t despair! You can donate to support OVEC’s work at any time, such as now… Help build our power! Join OVEC, renew your membership and/or donate here. If you want to know what kind of work your donations help, do check out our Spring 2019 newsletter which is now online. Public pressure has so far really helped when it comes to ORSANCO (the Ohio River Valley Water Sanitation Commission) and its pollution control standards for the Ohio River. Thanks to thousands of people like you who submitted comments, ORSANCO got the message that people want more pollution protection for the Ohio River, not less. ORSANCO came up with a revised proposal for its pollution control standards, and we have until April 15 to comment. OVEC volunteer Dr. Randi Pokladnik and OVEC Project Coordinator Robin Blakeman recently attended a public hearing to comment on this proposal. At this link, you can read what Randi has to say, as well as OVEC’s letter to ORSANCO. Feel free to use these comments to craft your own. Talking points are available in this post. All the details you need to comment are here, but if you need any help, e-mail robin@ohvec.org ASAP. April is Earth Month, and we’ve got several out-and-about tabling opportunities where we could use your help. If you’d like to help table at any of the events listed below, please e-mail info@ohvec.org.